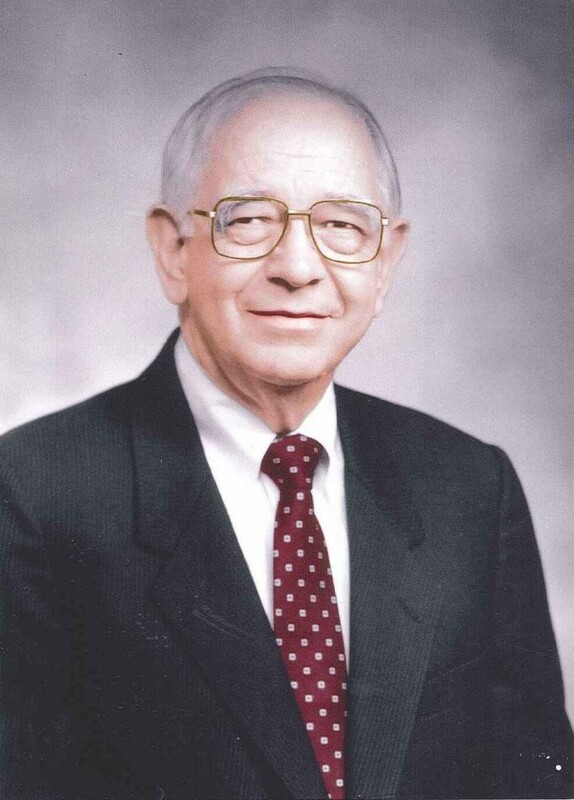 From humble beginnings in Edgewood, Texas, to being considered the “conscience of Southern Baptists,” Foy Valentine was a prominent figure in Christian Ethics and Southern Baptist History. The Texas Collection is pleased to announce the opening of the Foy Valentine Papers for research. Consisting of 249 boxes of materials, the largest series in the collection documents approximately 27 years of Valentine’s service in the Christian Life Commission (CLC), the social and ethical arm of the Southern Baptist Convention. His service in the commission coincided with tumultuous times and issues—civil rights in the 1960s, social morality in the 1970s, and perhaps the most contentious matter for Southern Baptists in the 1980s—the fundamentalist takeover of the Southern Baptist Convention. Upon leaving the CLC in 1987, Valentine continued to work diligently in Southern Baptist and religious agencies. His service in the Baptist Joint Committee of Public Affairs, from 1953-1961, 1974; and Americans United for the Separation of Church and State in 1969-1987, 1990-1997, are only two of the ten religious agencies that are reflected in his papers. Among the closest to his heart was the founding of the Center for Christian Ethics and the publication, Christian Ethics Today. As founding editor for CET, Foy was able to continue his vocation in Christian education in the ethics. 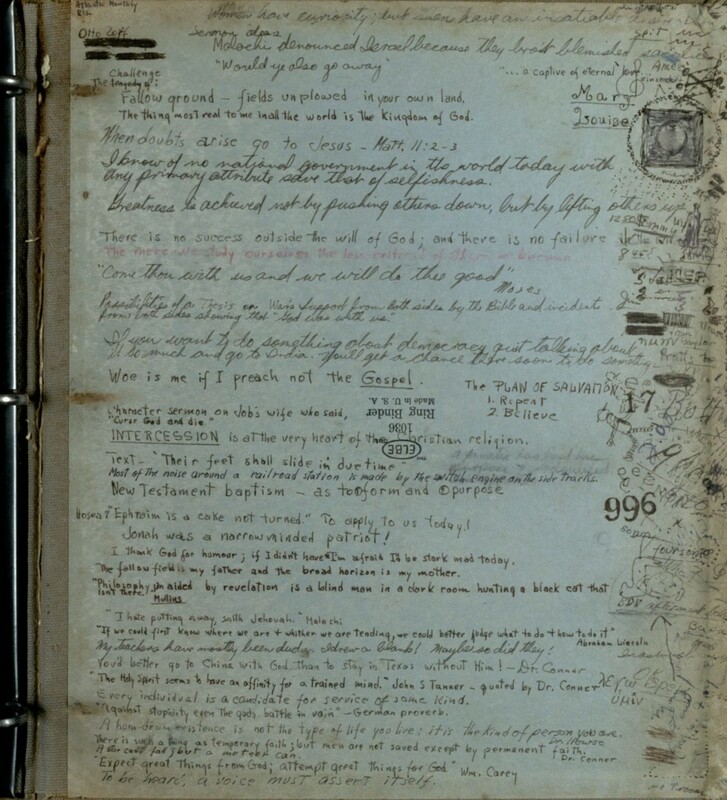 Inside cover of one of Valentine’s class notebooks while at Baylor University. Foy Valentine papers, Series V, Box 17, Folder 1. Foy worked for the betterment of the moral condition his entire life. Even today, his influence is evident in the recently created (2013) Foy Valentine Endowed Professorship in Christian Ethics in the George W. Truett Theological Seminary at Baylor University. In many ways, Foy Valentine has come full circle—he graduated from Baylor in 1944 and came back to Baylor with his materials now open and available to researchers. We invite you all to make use of these newly released papers. This collection will interest anyone studying religion, but especially those interested in Southern Baptist history.